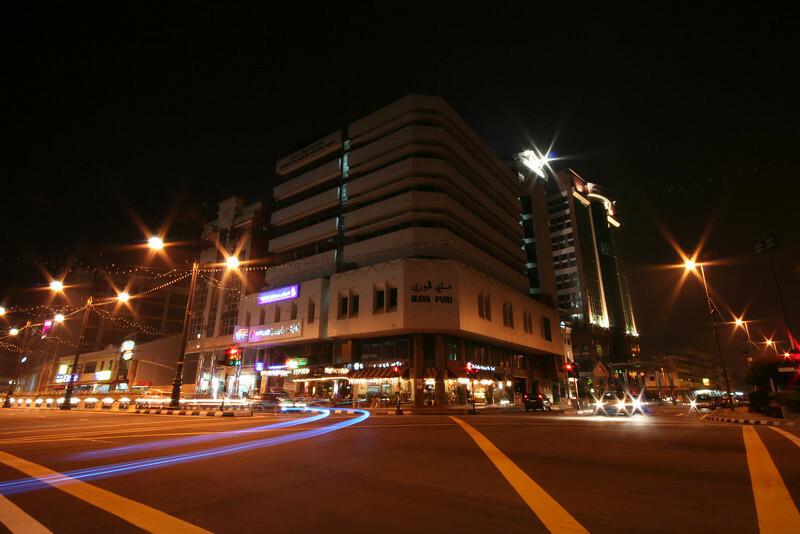 Intersection of Jalan Sultan and Jalan Pemancha, Bandar Seri Begawan, Brunei. View from the northeast. This is the busiest traffic intersection in Brunei's capital city at 9pm on a weekday evening; you're seeing three (count 'em!) vehicles in this picture. Needless to say, traffic congestion isn't a major problem in Brunei.